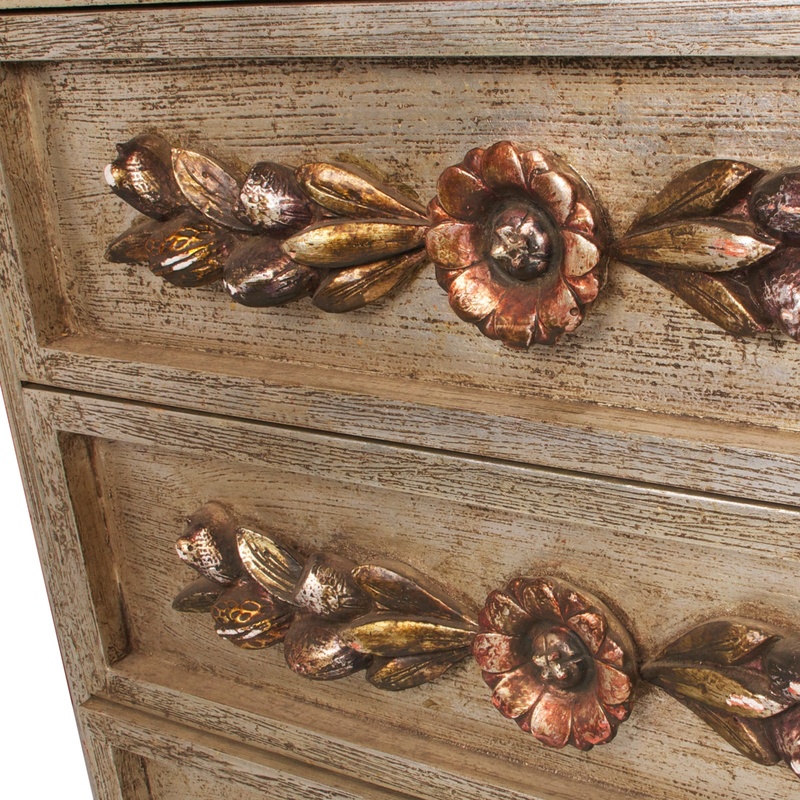 Tags: cabinet, Hollywood Regency, Grey, Silver, entry table, rose gold, dresser, buffet, floral. 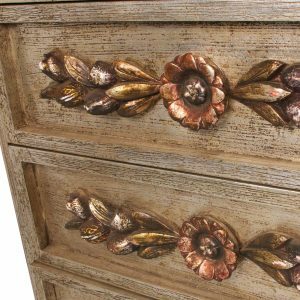 The EG Dresser is a large romantic dresser with a vintage look and metallic silver with rose gold floral handles. Multi-purposed, the EG Dresser can be used as an entry table or even a buffet. 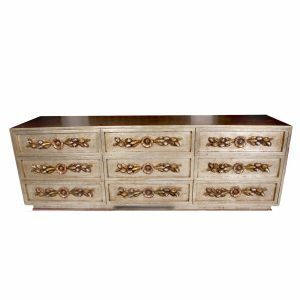 Rent a EG Dresser from FormDecor Furniture Rental today for your next event! Our inventory of dressers may be rented for any type of event. FormDecor delivers in Los Angeles as well as Southern California. We do ship nationwide via trusted carriers.